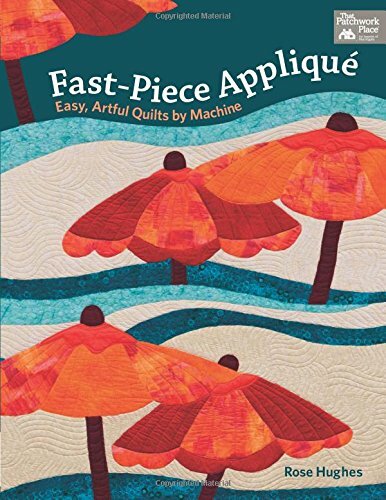 This book helps you discover the easy way to create stunning fast-piece appliqued art quilts. You can discover how to create enchanting three-panel quilt designs with spectacular success using Rose's easy-to-learn Fast-Piece Applique method. Beginners and experts alike will enjoy these 11 inspiring patterns from talented designer Rose Hughes. You can: learn to simplify complex images and incorporate them into strong, striking quilts; make a single panel or several; and, display individually, in groupings, or stitched together into full quilts. Stitching and embellishing options add rich texture to your projects. If you have any questions about this product by Martingale, contact us by completing and submitting the form below. If you are looking for a specif part number, please include it with your message.